Symphony No. 13, Op. 113 - "Babi Yar": I. Adagio - "Babi Yar"
Symphony No. 13, Op. 113 - "Babi Yar": II. Allegretto - "Humour"
Symphony No. 13, Op. 113 - "Babi Yar": III. Adagio - "In the Store"
Symphony No. 13, Op. 113 - "Babi Yar": IV. Largo - "Fears"
Symphony No. 13, Op. 113 - "Babi Yar": V. Allegretto - "A Career"
This album is so good!! 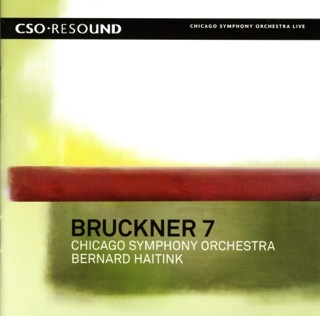 Bernard Haitink just does such a good job with this. This has to be the darkest piece I've ever heard and the soloist really conveys the emotion particularly well. You don't even need to know the words to know that this is sad. 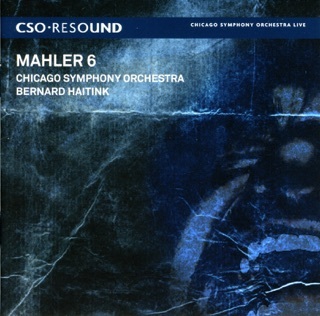 This is one of my favorite recordings ever I highly recommend it. 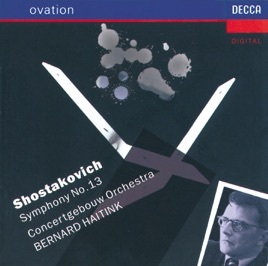 This is THE go-to recording for Shostakovich 13. 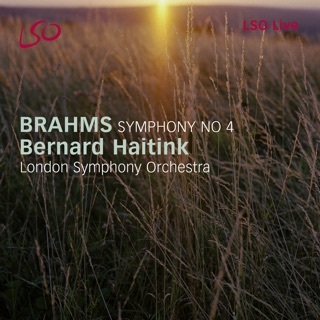 Bernard Haitink captures the depth and character of this piece so well; unlike other recordings I've heard in the past, his tempos are slower (brings out the the darkness that is Dmitri Dmitriyevich) and the color of the orchestra is more far-ranging. Truly another testament to the magnificence of the Royal Concertgebouw Orchestra. The choir and soloist? Perfection. Excellent pronunciation. The dark color of the choir is full and at times, terrifying. 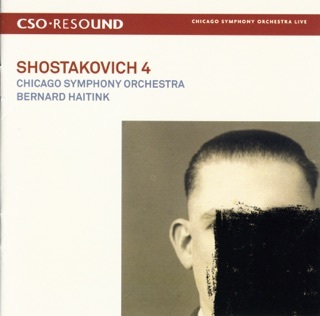 Bernard Haitink and the Royal Concertgebouw Orchestra are what have made this, along with Shostakovich 5 and 11, one of my favorite pieces of classical music ever. Highly, highly recommended! !